I’ve been gaining weight ever since I graduated from high school in 2005. I was 175 when I graduated, which for me at 6’4″ is pretty thin. I was skinny. I wouldn’t say I was fit because I was scrawny, but I didn’t have very much spare weight on me. Today I weigh over 200lbs. I’ve tried a few things to lose weight, and I’ve committed to P90X, Wii fit, and eating right with varying levels of commitment and success. Now that I’ve broken the 200lb mark, it’s time that I wake up and get in shape. Otherwise I’ll wake up in a few years at 250+ and wonder whatever happened to me. Losing that much weight would be a lot tougher than losing what I have now, so it’s time to bite the bullet and lose weight in time for summer. If I lose the weight then I think I’ll treat myself to some short legged, retro swim trunks. No matter how you do it, weight loss is not easy, and it isn’t fun (for the most part). 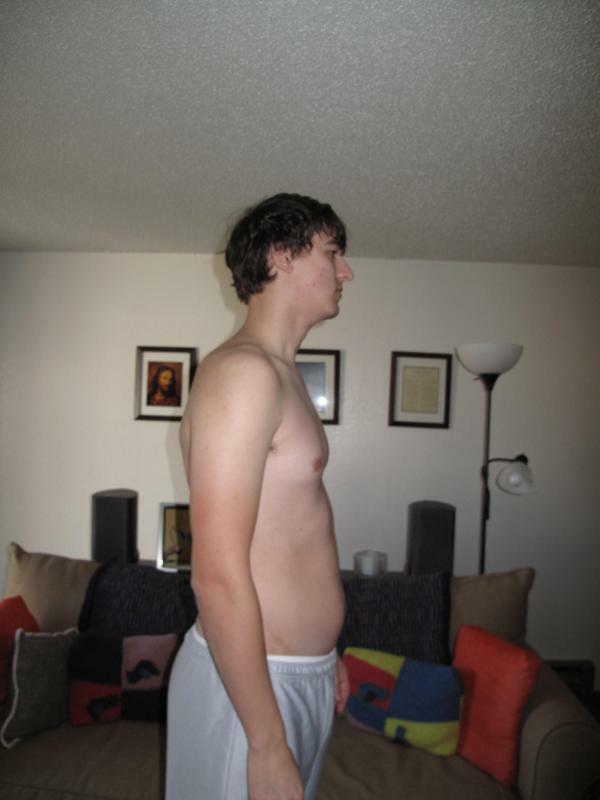 I’ve challenged my brother, who is at ~260lbs to try and lose 50lbs in the next three months. I have 25 to lose, which is 2.08 a week, so he’ll be at 4.16lbs. It’s a tall order, but weight loss is about being motivated and staying on course. I’ve told my brother that I’ll give him $1 for every pound lost, and if he reached 50lbs in the three months I’ll give him $100. For now there is no penalty if he gains weight (I doubt he will anyway) and no prize for me if I reach my goal. Nonetheless I think being healthy is important, so I’m willing to have some fun with this. Your job is to keep me motivated, so if I start to dog it you need to say something positive and get back in gear. The second part of the plan is P90X. The farthest I’ve ever made it in this program is the end of the first month. I can’t do that anymore. I’ve got to stick to it and I need you guys to help me stay motivated. A protein shake chaser will help me bulk up fast. The third thing I’m going to do is get a new bike and ride every weekend. There are tons of trails around where I live. My wife is going to get a bike too and then we can ride together, which will be great. Some final details will include not consuming any calories after 9PM every night and being in bed before midnight. Healthy habits like these can make a huge difference in your overall health and well being. I haven’t been doing so great lately and now is a good time to fix my sorry ways. I just weighed myself on the bathroom scale. I weigh 206.2lbs. I’m 6’4″. This makes my BMI 25.097. Crap! I’m overweight! I’ve never been overweight! I need to lose it and keep it off. My goal is 180lbs. 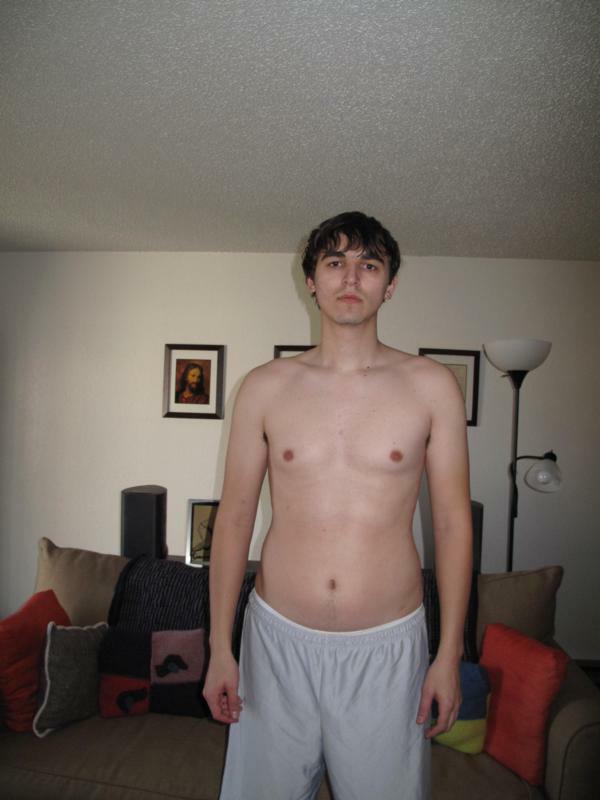 I weighed 175 in high school, but I was really skinny and had little to no muscle mass. I should be able to hit 180, which will be 25lbs lost and should be less fat and more muscle than high school. I just finished P90X for today. I did Chest and Back as directed by the workout guide. I’m somewhat nauseous and still need to do ab ripper x for today. I have my protein shake in hand and I’m trying to down it without triggering a vomit response. It’s amazing how much you can feel it in your muscles even after one hard workout. They’re bigger already! Haha. This entry was posted on Monday, March 1st, 2010 at 3:18 am and is filed under Uncategorized. You can follow any responses to this entry through the RSS 2.0 feed. You can leave a response, or trackback from your own site.